Dental crowns have been in common use since the 1960s when the techniques to manufacture them were first understood, Nowadays, with better preventive techniques crowns aren’t used quite so much but they still play a key part of many dental treatments. We’ve found that many patients can often be confused about types and uses of tooth crowns so we thought we would write an extensive article to answer all of your questions. In simple terms, a dental crown is a full replacement for everything you see on your tooth above the gum. They are usually used when the natural tooth has become severely broken down and can no longer be restored with either fillings or inlays. Your crown will fit over your natural tooth which the dentist will prepare and reduce to a stump. So long as you have high quality crown then it will blend in with the remainder of your teeth and no one will know you have one fitted. Which crown is better for front teeth? For front teeth it is usually aesthetics which take the priority, function and strength are still important however. For the highest athletics it is better to use a more translucent material which allows the light to shine through the crown, a porcelain crown is often the best choice. This allows a more natural appearance than having a crown which has metal inside. For this reason the best crown for a front tooth will be some form of metal free crown. What is the best dental crown to get for back teeth? Full-back teeth it is usually function and strength which are a priority over aesthetics. Your back teeth are capable of exerting extreme pressure and therefore strength is a priority. Modern zirconia crowns can be extremely strong as well as aesthetic, however very often classic porcelain fused to metal or indeed full metal crowns are still preferred for back teeth. What are Zirconia Dental Crowns? Zirconia is the common name for zirconium dioxide, this is effectively sand or ceramic and it is what makes beautiful white beaches look very white. Zirconia has been used for many years in hip replacement surgery as the body does not reject it and it has little or no wear. Zirconia is also able to allow the light to shine through making crowns made from the material extremely lifelike. Zirconia is one of the most biocompatible materials it’s possible to use due to the fact it does not react with anything. What is the best dental crown material? Aesthetics. Especially important at the front. Very often metal free or crowns are chosen. Strength. Especially important at the back. Crowns containing metal, such as porcelain fused metal crowns are often chosen however modern advances in technology means zirconia crowns are approaching the same strength. How long will a tooth crown last? Gum recession exposing the Crown margin. You can reduce the chance of failure and/or fracture by ensuring that you look after it. Only use crowns for eating and chewing, not opening bottles! Also, be aware that a common way to fracture ceramic crown is to knock it with a ceramic mug whilst drinking. You can reduce the chance of gum recession by ensuring that you maintain good oral health and have a regular visit to the dentist to ensure that your gums are in the best condition possible. Why is palladium not used in dental crowns? It is a precious metal and therefore expensive, there are lower cost alternatives which offer similar advantages. It is a precious metal and therefore open to fluctuations in price depending upon what the stock market is doing, more stable pricing materials are available. It is metal and therefore does not allow the light to travel through like a natural tooth, this can sometimes make a crown with metal alloys such as those containing palladium look not as good as an all ceramic crown. What is the typical cost for a dental crown? The price will vary depending on the type of crown, you should expect to pay anywhere between £300 to more than £1000 per tooth, depending upon where you visit the dentist. Understanding dental prices can be quite difficult so it’s good to speak to your dentist beforehand. What are alternatives to dental crowns? If you only have a small amount of damaged tooth then a dental inlay or filling may work, other filling materials are also a possibility. If however there is a large amount of tooth to restore then there really isn’t any alternative to a dental crown, if you want to keep the tooth. Doing nothing is always an option and should always be considered, if you need to have a tooth restored then doing nothing could lead to additional dental health problems in the future or possibly losing the tooth completely. How to take care of my dental crown? You should take care of a tooth crown exactly the same as you would a natural tooth, ensuring you clean it twice per day for 2 min with toothpaste. You should then clean in between the crown and the next tooth with either floss or an incidental brush, just like you do natural teeth, this ensures you keep those difficult to reach areas clean as well. One of the weak areas of a crown is where it joins your natural tooth, often under the gum margin, this area needs to be kept particularly clean. 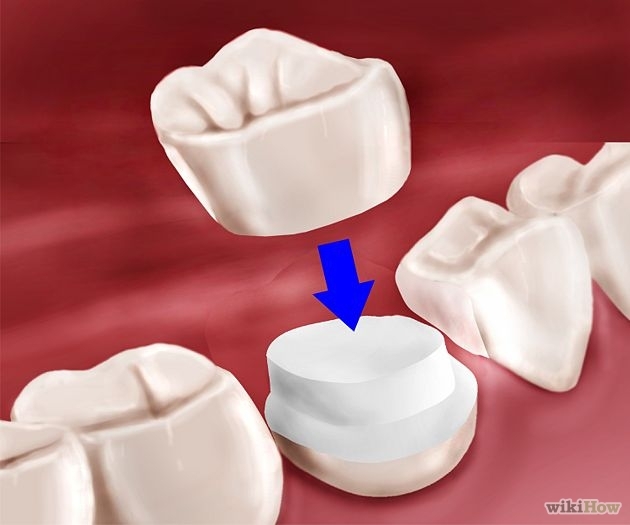 What is the process for putting on dental crowns? Diagnosis that a crown is required, a treatment plan should be produced with all options including prices. Agreement of the treatment plan. Any root canals or root canal treatment will be done first. Preparation of the tooth. This involves removing any decayed or broken down tooth and preparing it to be the correct shape to accept the new crown. You will receive a numbing anaesthetic beforehand. Fitting a temporary crown. This will be made chair side by the dentist at the time of preparation, you wear this temporarily crown for two weeks whilst the final and definitive crown is made. The final crown is manufactured by a dental technician. The fitting appointment. You will have a numbing anaesthetic, the temporary crown will be removed, the final crown will be checked for fit, aesthetics and function. If everything is okay the permanent crown will be fitted using a special dental cement material. We hope you have found this blog post useful, what other questions do you have about crowns? 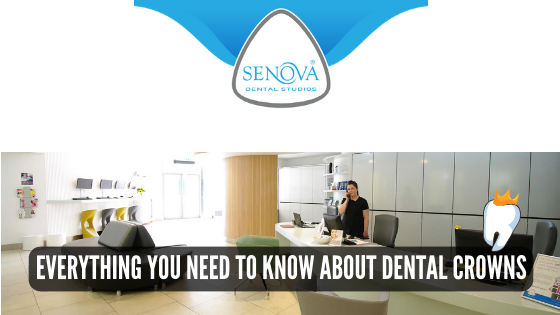 A graduate of the Newcastle-upon-Tyne Dental school, Dr Padayachy has been a dentist at the award winning Senova Dental Studios in Watford since 1998 focusing on comprehensive restorative and cosmetic dentistry. Jay has previously been the president of The London Dental Fellowship. He has been a member of the British Academy of Cosmetic Dentistry since its inception and serves on the Credentialing committee. Jay has lectured widely on all aspects of cosmetic dentistry, dental photography and comprehensive care.